Sheffield-based inner-city music festival, Tramlines, has some special plans up its sleeve for its 10th edition. Sliding Doors Publicity kicked off its 2018 national press campaign announcing a celebratory move to a new site at Hillsborough Park. It will be the first Tramlines to be held over one site and with it brings lots of other exciting changes including a stage hosted by the Leadmill, a comedy lineup, pop up cinema, and much more ‘festival-style’ entertainment. 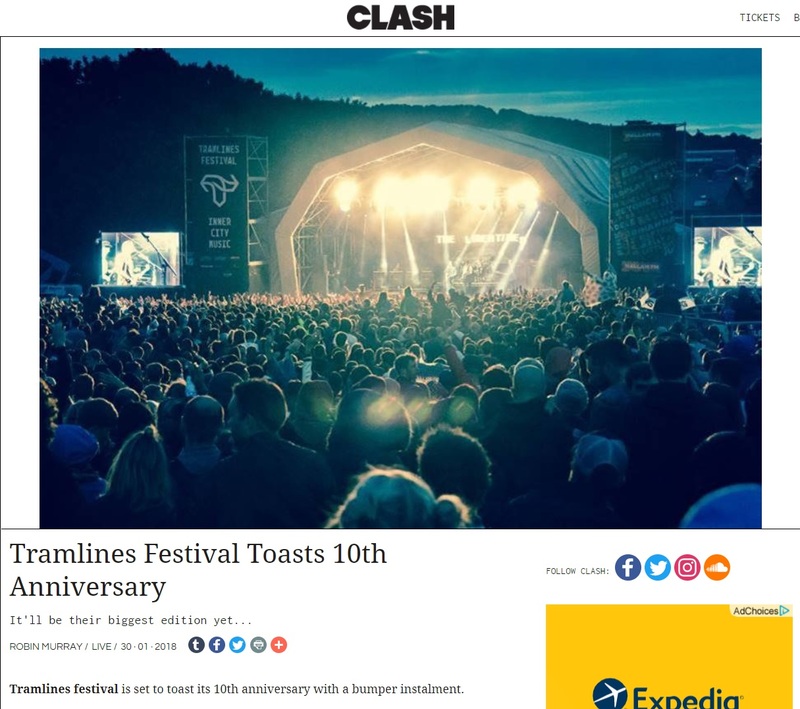 Leading music title, Clash, helped to spread the word, carrying a news piece on its heavily visited site. 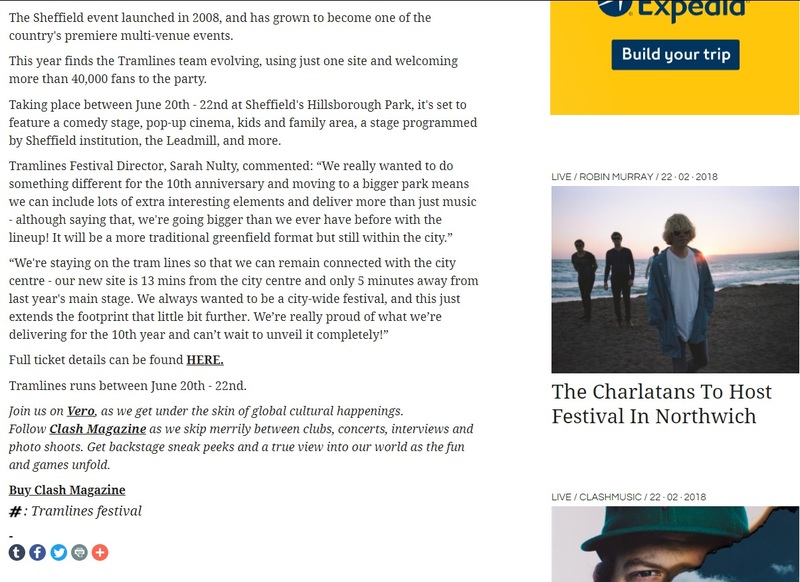 Now in our fourth year handling the national press for Tramlines Festival, we’re stoked to be working on this momentous event. To read the Clash article, check out the coverage below or head over to the Clash website.